As President of Hearst Magazines, one of the world’s largest publishers of magazines, Cathleen Black has four decades of experience in the media business. Cosmopolitan, Esquire, Good Housekeeping, Harper’s Bazaar, Marie Claire, and Oprah’s O are among the 19 titles she manages, and she is in charge of almost 200 international editions of those magazines in more than 100 countries. Black began her career selling small ads for Holiday magazine and in 1979 she became the first woman publisher of a weekly consumer magazine: New York. For eight years she made a name for herself as President and then publisher of USA Today. 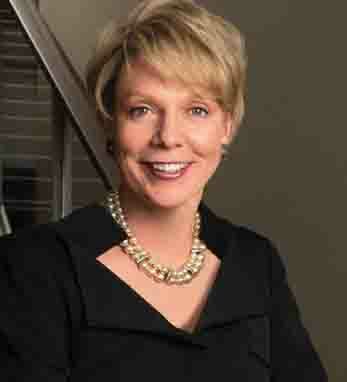 In 1991 she became President and CEO of the Newspaper Association of America, before joining Hearst. She serves as a member of the boards of IBM and the Coca-Cola Company, and is a member of the Council on Foreign Relations. A third-generation Irish-American, Black is married and has two children. Her book Basic Black, on how she has achieved both personal and professional fulfillment, is a New York Times bestseller.